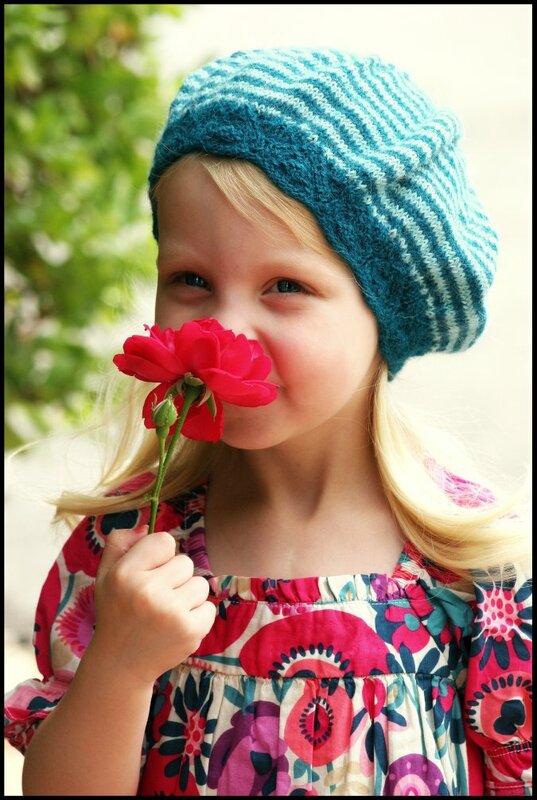 My new pattern "Molly" is now available! 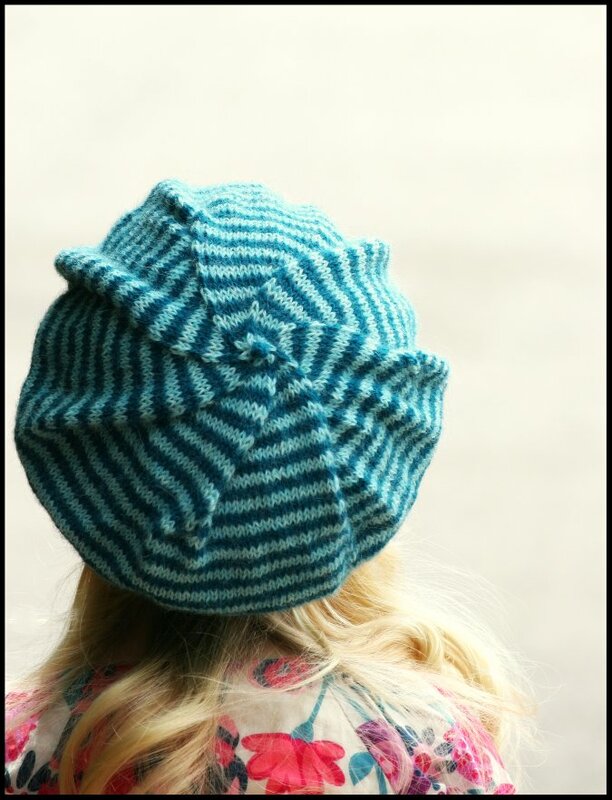 This little beret is simple and classic with a few unique details thrown in. The lace pattern brim adds a feminine touch and I think that the swirled top looks really interesting paired with the stripes. 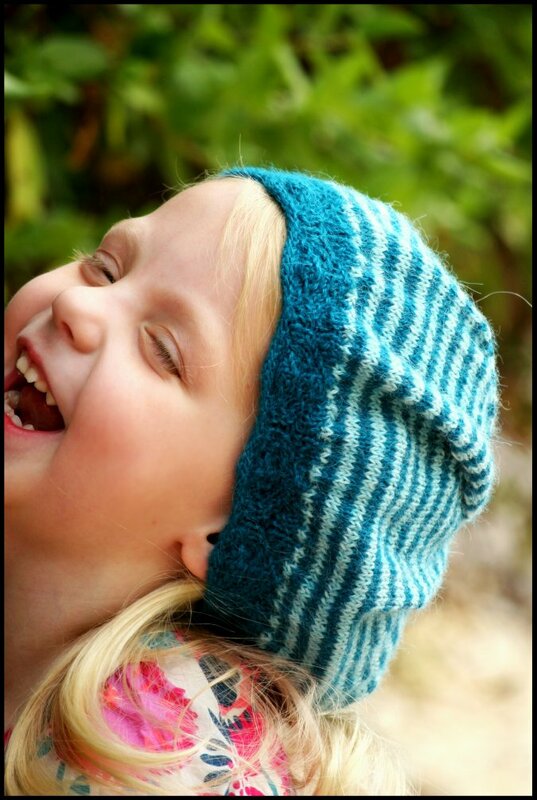 ...And don't be fooled by my little hat model. 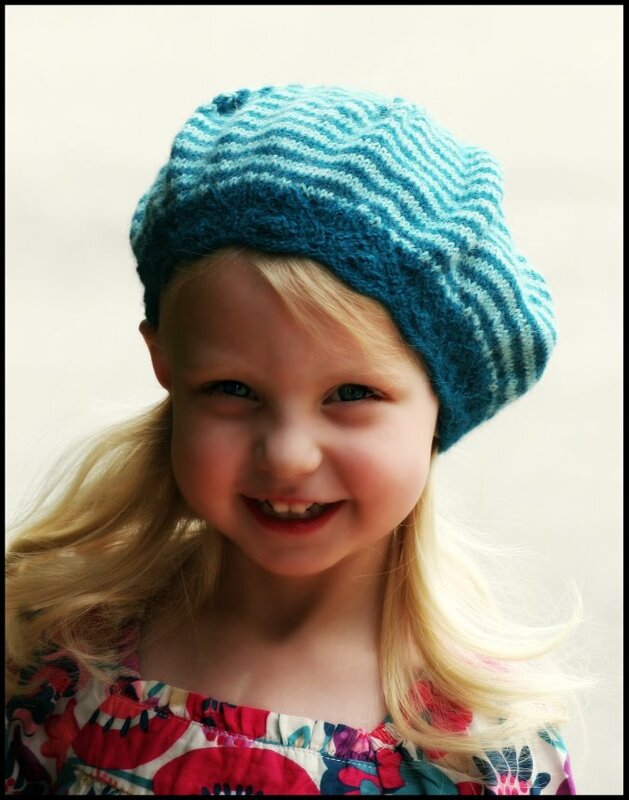 This beret pattern is written for all different sizes, ranging from baby to large adult. You can make a striped version like this one, or in a solid colorway for a more conservative style. I'm in the process of making myself a solid colored Molly right now. a plain sock yarn though, and be a perfect way to use up some mis-matched leftover balls. Brim Circumference approx: 14[16, 18, 20, 22] inches unstretched and after blocking. Length: approx 5.5 [6, 7, 8.5, 9] inches from cast on edge to top of hat. Note: Brim will stretch a bit with wear. So if you are in between sizes, go down one size smaller to ensure proper fit. Solid Version: Artesano 100% Alpaca 4 PLY [100% Alpaca; 200 yd/184m per 50g skein; color: Fern; 1 [1, 1, 2, 2] skein(s) or approx 145 [165, 185, 215, 245] yds. Striped Version: [MC] Artesano 100% Alpaca 4 PLY [100% Wool; 200 yd/184m per 50g skein; color: #0785 (Bolivia); 1 [1, 1, 1, 1] skein or approx 85 [95, 105, 125, 145] yds. [CC] color: #2318 (Anemone); 1[1, 1, 1, 1] skein or approx 60 [70, 80, 90, 100] yds. 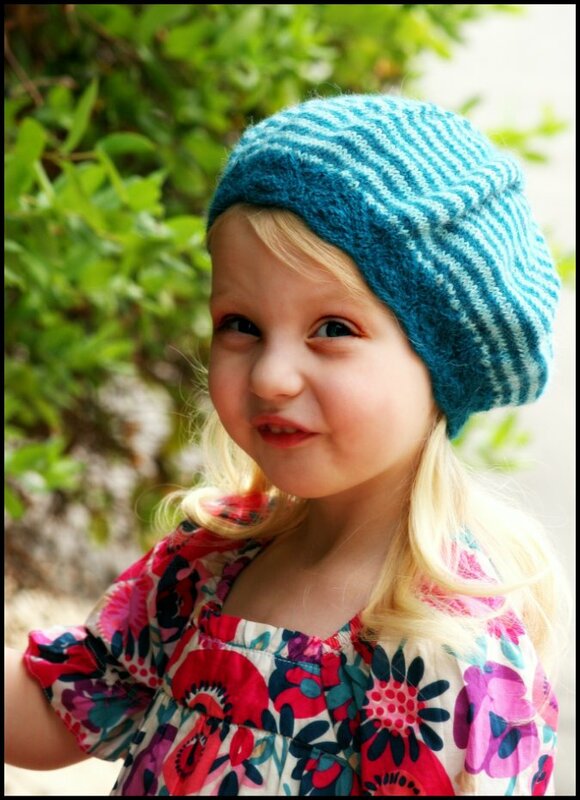 Kits for Molly are available here through One Planet Yarn and Fiber. Click HERE to see an adult version of Molly in a solid color. I hope that you enjoy the pattern!